Tale of the Brave: The Movie treaded the boards of the United Kingdom with its premiere. The Vue cinemas event, held in London's Leicester Square on August 10th, greeted passers-by with the appearances of Thomas and The Fat Controller posing for photos outside. 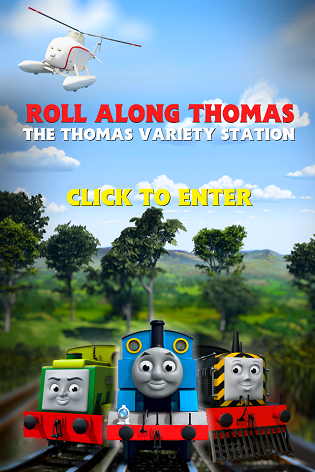 Roll Along Thomas were present as were cast members Mark Moraghan and Keith Wickham, with composer Peter Hartshorne and producer Ian McCue representing the crew. Railway Series alumni saw Veronica Chambers and widow of the late Hilary Fortnam, Alf Fortnam, alongside the Awdry's management. SiF's Ryan and Christopher were also in attendance. Meanwhile, famous faces came with the multi-talented actor and writer Danny Wallace, presenter Vanessa Feltz and Radio 1 and 1 Xtra DJ Mistajam. I saw TOTB last week, it wasn't as exciting as I expected it to be. I hope The Legend of the Lost Treasure is much better. How many stars?? PLease SAy!